External parasites, such as fleas are common in cats. Fortunately, in Calgary, we do not see an extremely heavy flea population, but they do exist in this area. Outdoor cats are at a much greater risk of contracting fleas and should be monitored regularly at home for signs of flea infestation. 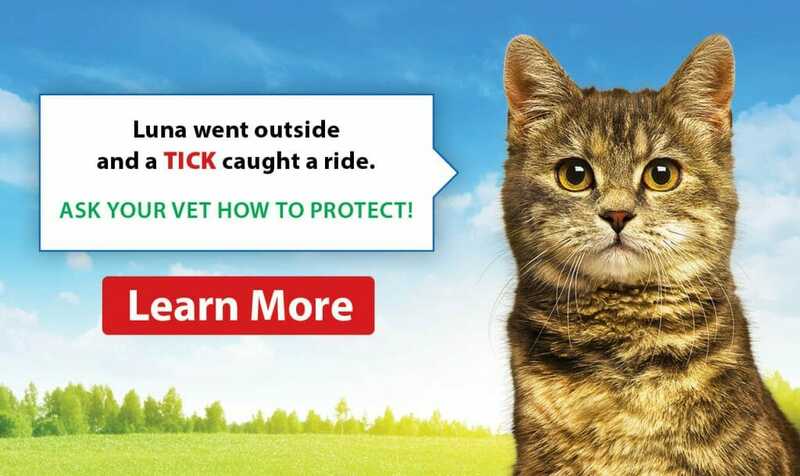 Consider flea treatment, especially in the summer months, if you have a cat who spends a large amount of time outside. Contact our clinic to discuss the best flea preventive treatments for your cat. Fleas are insects from the order Siphonaptera. They are wingless, with mouthparts adapted for piercing the skin and sucking blood. Fleas are external parasites, living off the blood of infected mammals and birds. How do fleas harm the cats? Fleas cause irritation when they bite. 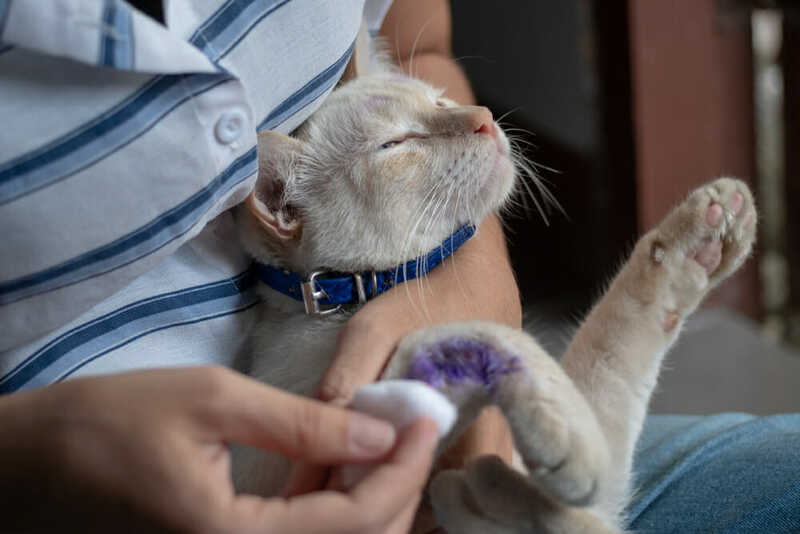 Flea bites can also cause allergic reactions and severe skin irritation in patients who have developed a flea allergy. Heavy flea infestations in very young or debilitated patients can lead to significant blood loss, with associated weakness, lethargy and weight loss. Flea prevention is important because fleas impact the quality of life and overall health of your cat. Fleas cause suffering due to their biting, they cause allergy in certain patients, and will also cause significant blood loss if the infestation is severe. Fleas are also transmissible to other animals, so it is important to prevent spread to new hosts. There are many very effective, safe and simple flea treatments and preventives that are available from your veterinarian. Flea collars and other over-the-counter flea treatments found in pet stores and grocery stores are not recommended, as they contain pesticides that can be dangerous to your cat. Please contact us if you would like to know more about our recommended flea treatments.